Happy Friday! I would normally say that this week dragged on but it seriously didn't for me! It flew by and I needed at least two extra hours and three extra cups of coffee to accomplish my to-do list. So busy but it's been a good week. For the past three weeks, I have had the chance to get all dressed up in three gorgeous dresses from Tobi! It was my first three pieces from them but definitely not my last. I have been so impressed by the quality, style, and price of my dresses! 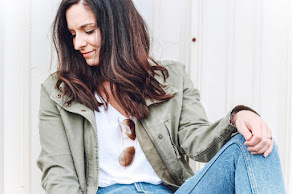 Today, I wanted to share a recap of all three of my fall dress looks just in case you missed it and because I love these outfits so much! 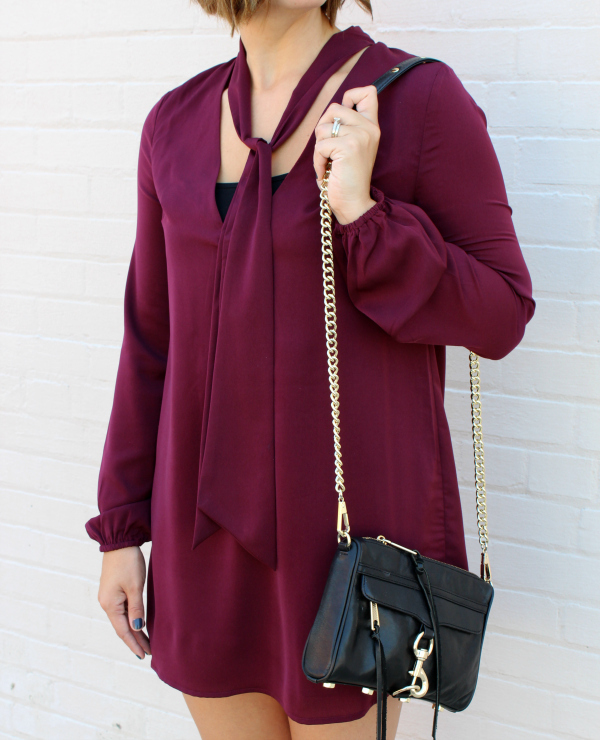 In my first post, I styled this beautiful wine colored shift dress with leopard flats and a black bag. 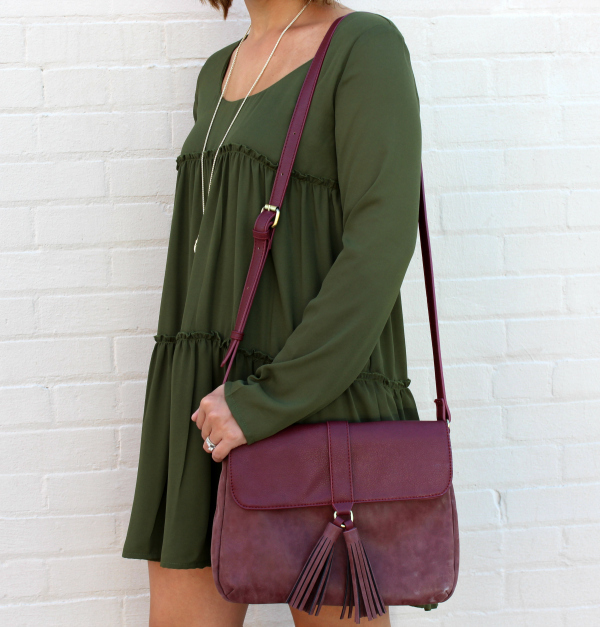 In my second post, I styled the perfect olive green swing dress with over the knee boots (that I can't get enough of) with a berry colored bag (also can't stop carrying this bag). In my third post, I styled a blush bell sleeve sweater dress with a statement necklace and ankle boots. All three of these dresses are perfect for fall right now and will transition perfectly into the upcoming cooler months by adding tights and scarves. I love all these dresses, but my favorite has to be the pink one! Happy Friday!